This term I have been introducing Beebots and OSMOs to both Transition classes. Students learnt how a robot has no brain and that we have to put in codes to tell it to move. They used their skills in investigations and experimented in coding Beebots. In Maths, students used OSMOs to learn their numbers. 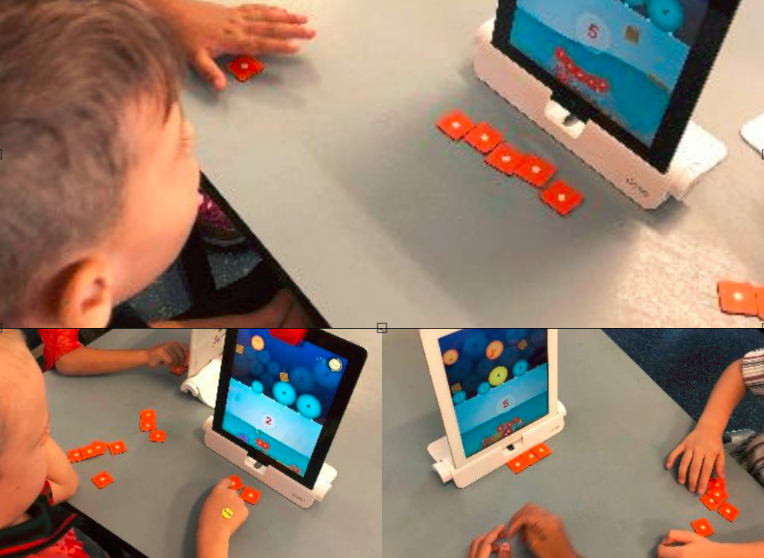 They worked in pairs to arrange physical tiles, including dots and digits, to make numbers and complete levels. Add by putting more tiles and subtract by removing tiles. Experimenting becomes fast and intuitive. I have also introduced OSMOs in my classroom during Friday Maths rotations. Students have been using the tangrams to create pictures. They have to copy the picture provided by using the shapes and flipping and rotating them into position. Students have found this challenging but very engaging. Beebots are the ideal support for helping students learn early computing and programming skills. This unique and versatile classroom resource are engaging for children and can be utilised in a wide variety of cross curricular learning activities. From weeks 8-10, 1/2 Jeffery has been using the STEM room (Science, Technology, Engineering and Mathematics). 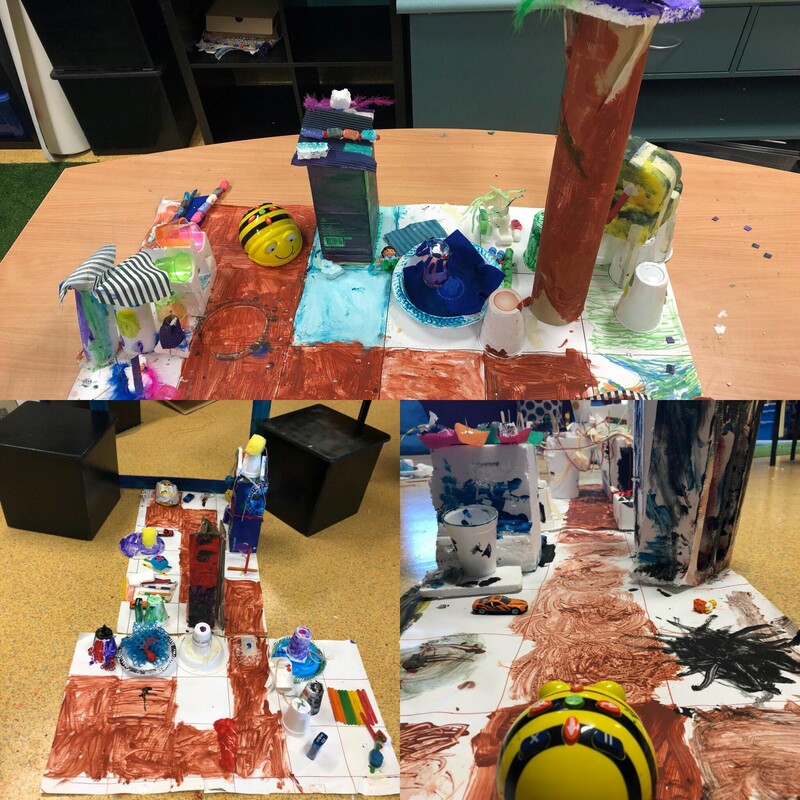 During these three weeks, the students had a challenge: To design and build a place navigated by a robot. As a class, we unpacked the meaning of ‘place’ and ‘robot’. The students worked in groups of 4 to design and build their place and choose what type of transport the robot would be. 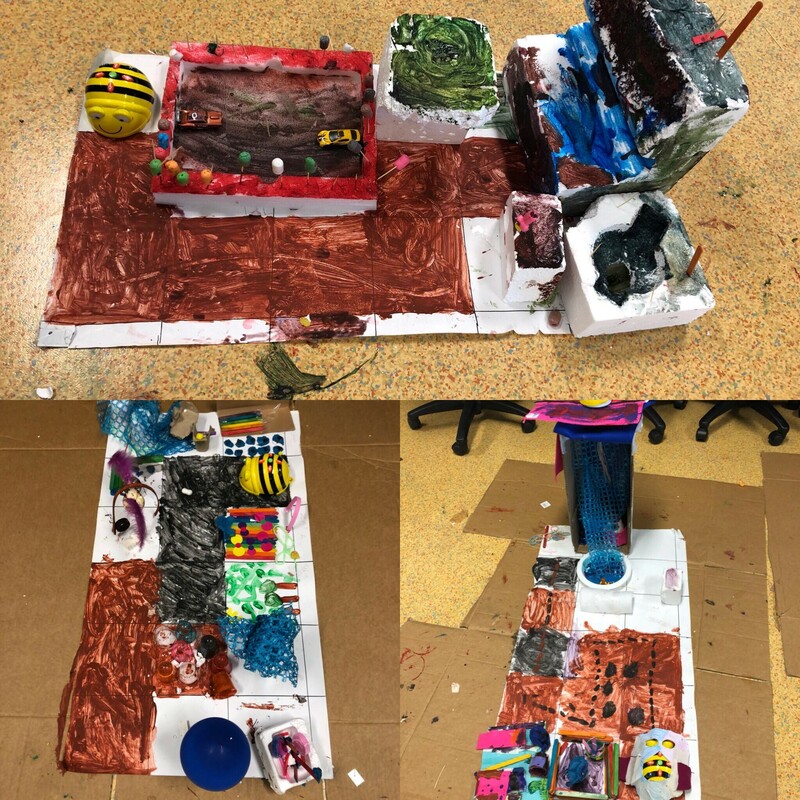 After the construction of their place was completed, they had to code their robot to move along the path and through their place.